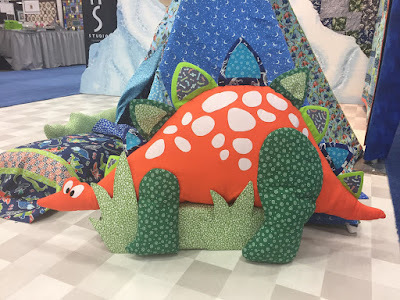 Do our Dino Glow and Glow For It fabric collections have your creative wheels turning? 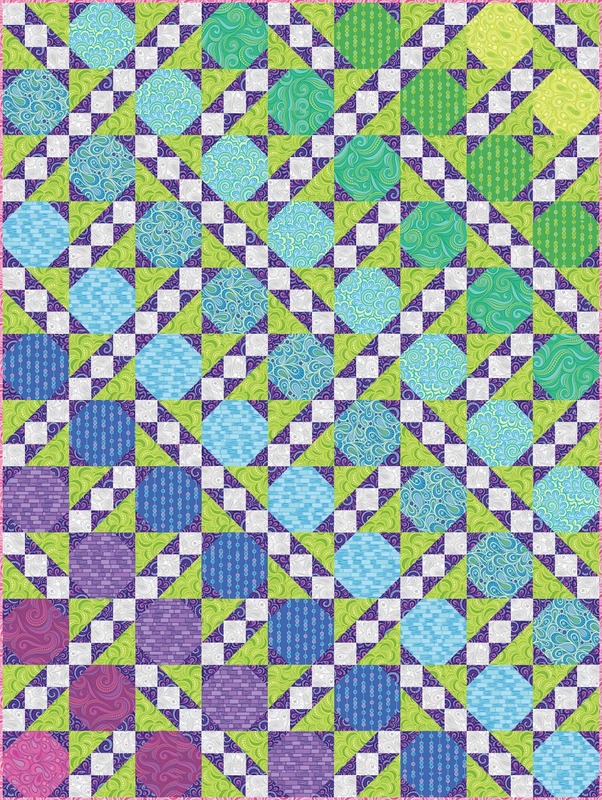 What would you make with these fun prints? Or a kid's teepee, sleeping bag, and pillowcase? 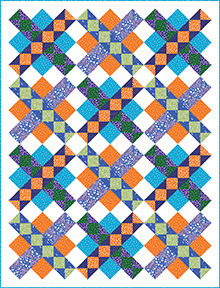 Or maybe a quilt? 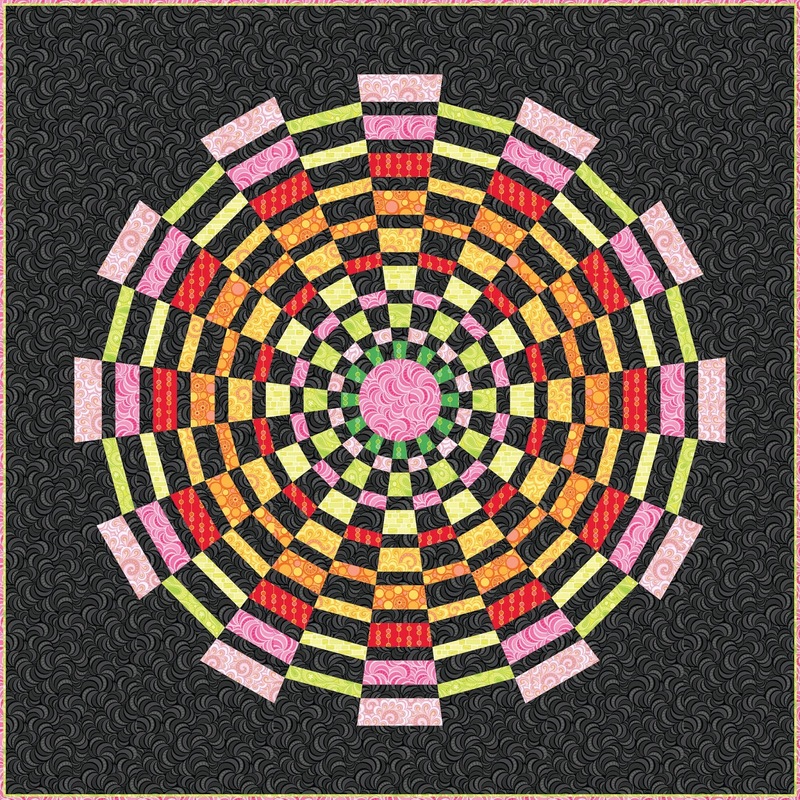 We have two free patterns to share with you. Dinoland uses the Dino Glow prints and was designed by Heidi Pridemore. 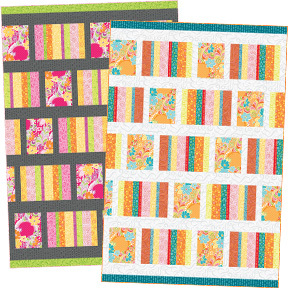 Love that fussy-cut stripe border! Go for just the basics (that glow in the dark!) 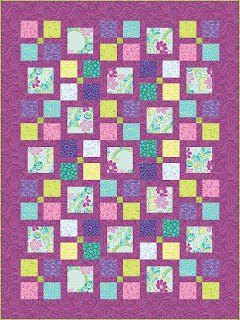 with Heidi Pridemore's scrappy-looking Glow On quilt pattern. Click here to see the entire Dino Glow collection. Click here to see the entire Glow For It collection. 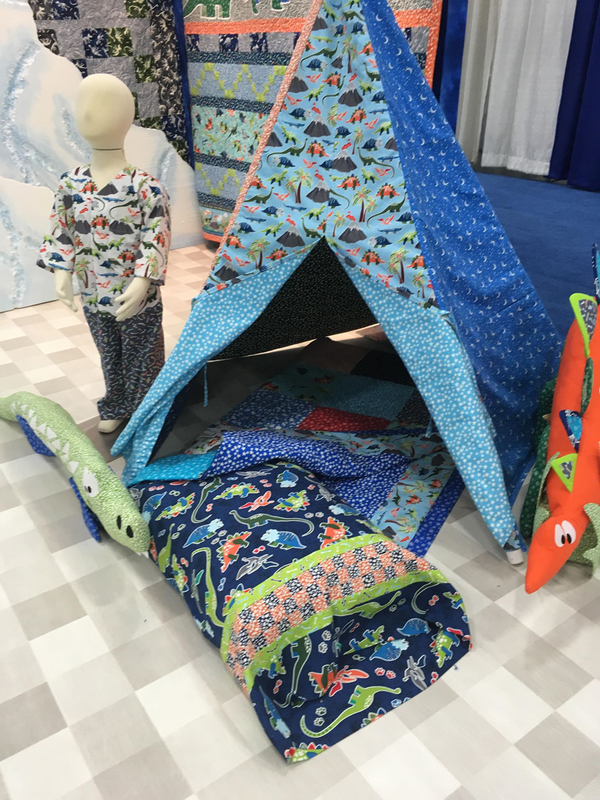 If you were intrigued by the glow in the dark Dino Glow fabrics we showed you earlier this week, you're going to love this collection! Glow For It is a new basics collection from Kanvas--37 different glow-in-the dark prints. Pebble shapes, stars, dots, clouds, moons, and spirals--use them together for a cool quilt that shines at night, or mix them in with regular fabrics for a fun surprise! Glow For It coordinates perfectly with the Dino Glow collection. We're aglow with excitement over these cool dino prints! The Dino Glow collection from Kanvas has all the favorites--triceratops, brontosaurus, T-rex, and pterodactyls, along with dino skeletons, volcanos, and palm trees. The color palette is fresh and fun--bold oranges paired with lime green, navy, aqua, and a darker green. Perfect for a bedroom makeover for the dino lover in your house. And, as you might have guessed from the name, these prints GLOW IN THE DARK! Love this dino stripe--perfect for fussy cutting, borders, or a pillowcase. Dino blocks, ready to cut! 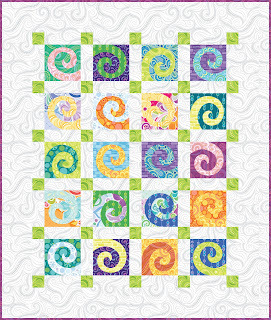 We hope you've enjoyed seeing Free Motion Fantasy featured here on the blog all week! 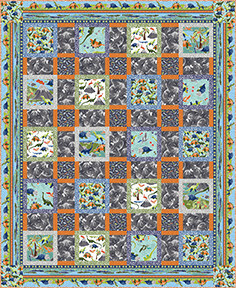 Today we're sharing a trunk show of Amanda's quilt patterns featuring this beautiful collection. Enjoy! 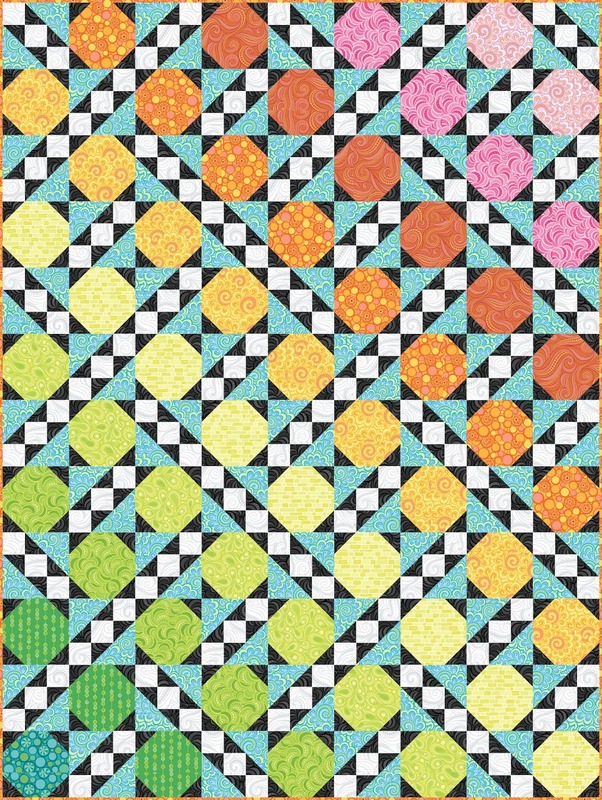 "You actually get two quilts in one—when you make and then cut the strip sets, you end up with the pieces for two quilts—the second is the inverse design of the first quilt. 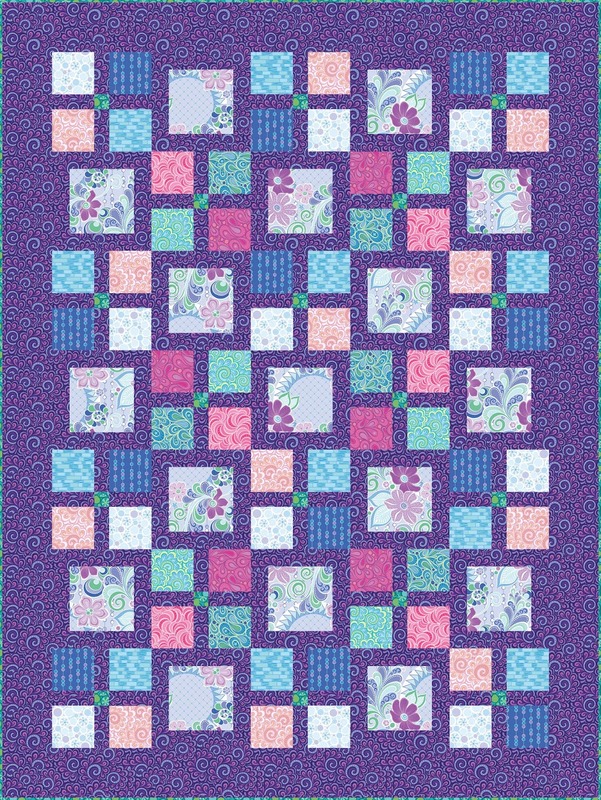 All you need is more background fabric to finish the quilt." 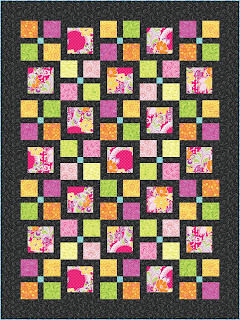 "This is an easy applique wall hanging that can be made with a charm pack. 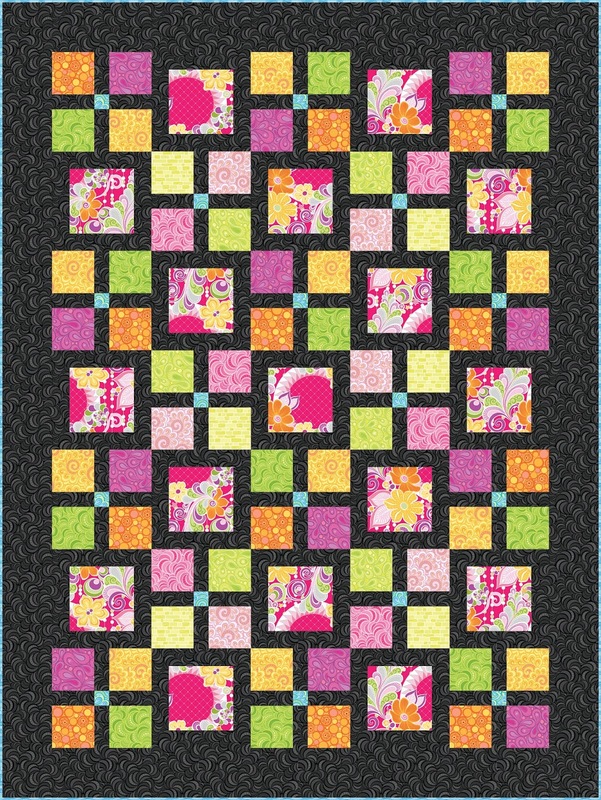 It plays with negative space and is fun to quilt!" 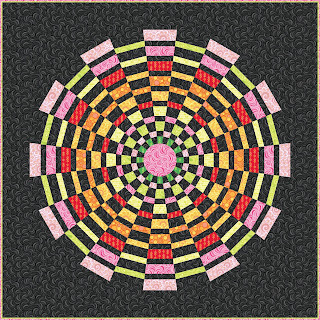 "I always had an idea of doing a rainbow of octagons and this quilt is it. 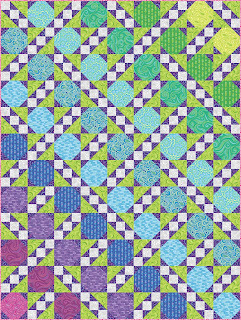 I designed it in two colorways—the cool version has deep purple functioning as the neutral background (paired with lime green) and the warm version uses black paired with aqua. 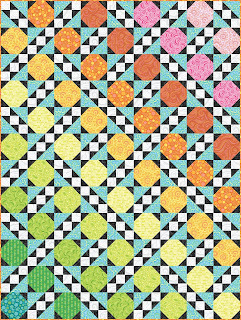 In addition to playing with colors, the design also plays with the idea of a cross weave running counter to the color cascade." 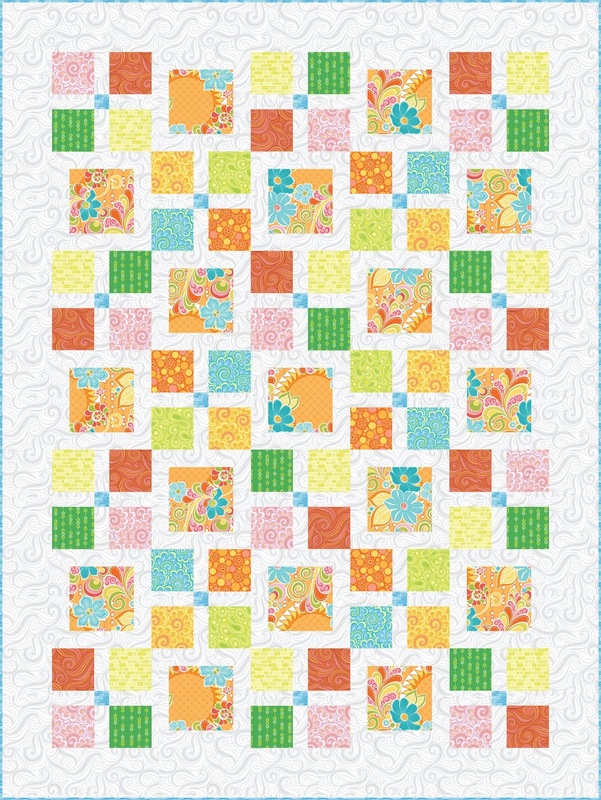 "This is a super simple fat quarter design. I created it in four different color stories for the four seasons. I love how the deep magenta background in the spring quilt plays off the green." 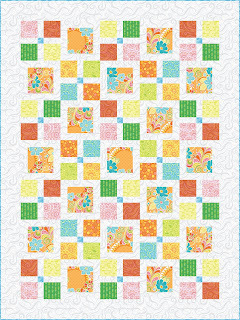 "This is a fun, easy quilt that features rows of colorful strips and larger rectangles of the large floral print." 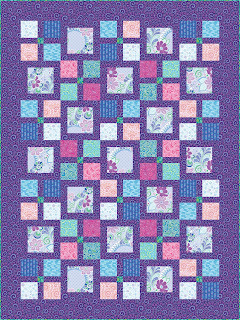 Click here to find the link to download the free quilt pattern.